A new year has arrived, and with it a new season of FIRST Robotics Competition. The new competition named, “Destination: Deep Space,” features new challenges for teams to overcome. Within the first 15 seconds of the match drivers are unable to see the field in front of them, and must rely on either robot cameras or autonomous code. The sandstorm blocks driver view and issues the challenge of communicating with a robot, without directly seeing it. Robots must also collect cargo and store them in the cargo ship or the rocket, and secure them with hatches. Without the hatches the cargo will fall out at the end of the match. During the final seconds of the match, robots must return to their habitat and have the option of climbing the platforms to earn more points. Recently we relocated to Bishop Kelly’s new STEM center, hoping to encourage more students to get involved. The new shop is full of amazing machinery and space for everyone to work. Our team spent months getting used to the new equipment, preparing just for this season. A massive thank you to Bishop Kelly for providing us with an amazing space to grow. 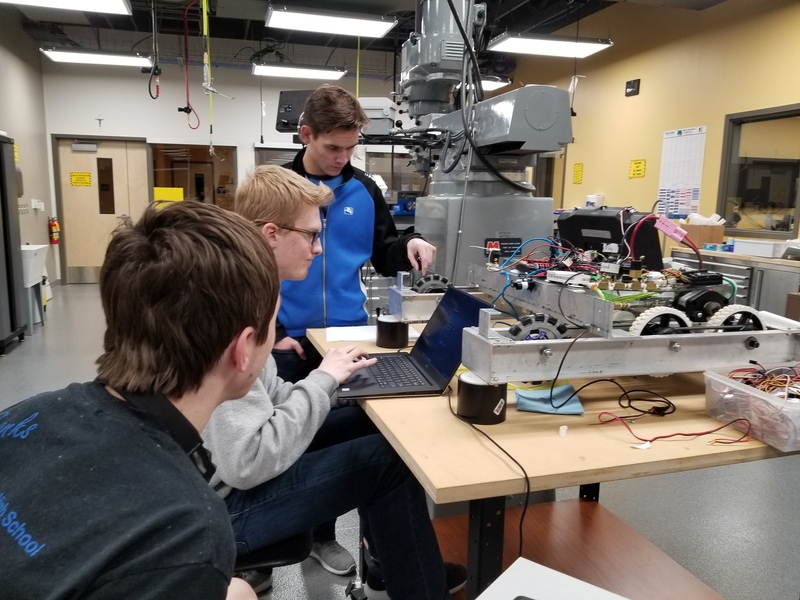 While the team is working hard drawing plans for the new robot, our programmers are getting in valuable practice on our old practice robot. Learning to code before the seasonal robot is built. 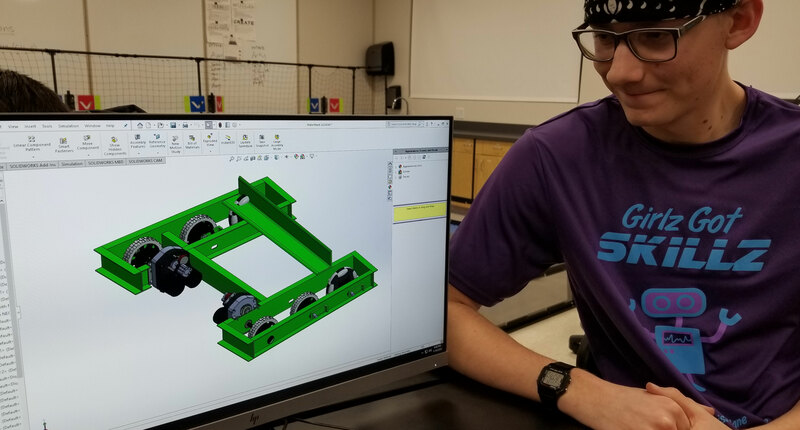 During the first week of build season the 3D Digital version of our robot will be built and construction on the chasis will start. One of the largest pieces of the game is the cargo, so we have started our work on a prototype intake system. Because of the size of the cargo, we have to allow enough space to pick up and store them until we are ready to launch. With so many ideas for an intake system, starting a couple of prototypes will help us decide which system is more efficient. It is important to know what your robot is going to look like and the best way is to build it digitally. The process is a great benefit to measuring later on, and can help to eliminate the struggle of misplacing parts. Manufacturing robots is harder than it looks, so everything has to be perfect. How do you feel going into this year? How has your time on the Bullbots influenced your regular life? 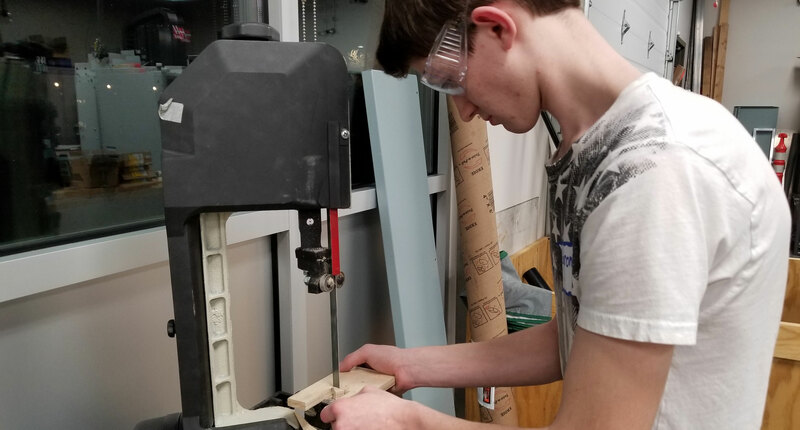 What are some of your favorite things about build season? Good luck to all the teams out there this season, it’ll be a blast! ⟵After Lego Robotics Camp a lot of parents are going to hear that their child wants a Lego Mindstorm!